Learn How to Use Your Device. "I appreciate gaining a clear understanding of one feature a day doesn't take much time daily but adds up over time." "Your daily hints and info have been a great help... I'm a 78 year old female and I am way ahead of most of my friends technically (young and old !! ) and I want to stay ahead! Y'all are the BEST!" 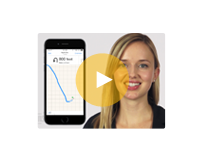 "iPhone Life Insider helps me find out way more about my iPhone than I could anywhere else." Is iPhone Life Insider For You? Do you want to feel competent and efficient when using the technology you love? Do you ever get stuck while trying to accomplish a task on your iPhone and wonder where to turn for help? Are you looking for better ways to manage your photos, passwords, and personal information? If you answered yes to any of these questions, iPhone Life Insider is for you. The iPhone Life Insider program is designed to empower you to get the most out of the powerful devices you use every day. Whether you’re struggling with an iPhone battery that mysteriously drains by midday, pesky Storage Full notifications that won’t go away, or an important account you can’t find the password for, we’re here to help. 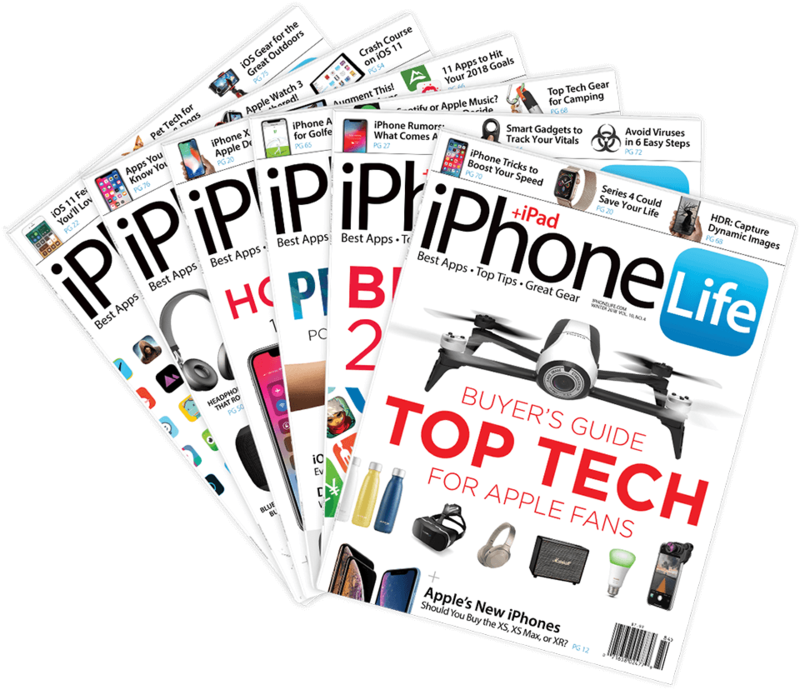 With a membership to iPhone Life Insider, you’ll have a trusted, expert resource available to you at all times to help guide you to a solution. Because when it comes to your Apple devices, roadblocks are inevitable, but staying stuck isn’t. Q: What if I change my mind after I’ve paid? A: We offer a 30-day, no questions asked money-back guarantee, so just let us know if Insider isn’t for you, and we will give you a full reimbursement with no questions asked. There’s no risk to you. Q: I’ve never used online guides. What do I do if I get stuck? A: Email our experts any time you’re confused or stuck we'll help. Q: How do I receive Insider content? A: Upon signing up you will be granted instant access to our entire archive of content. We will also email you every time we release new content so you’re sure to not miss a thing. Q: I don’t have much time to invest in learning to use my device. Is Insider still for me? A: Yes! We’ve designed our content so that you can learn in small increments. Our video tips teach you something new every day in just one minute and our video guides are split into 5- to 15-minute lessons so you can watch at your own pace. Q: What sets iPhone Life Insider apart from other sources of information? A: We’ve been helping people learn to use mobile technology for the past 30 years. We help millions of people every month and are a trusted source of curated, easy-to-follow content. With Insider, we do the hard work of cutting through the clutter and delivering just the information you need. Q: I already get the Tip of the Day Newsletter. How is the Insider membership different? A: Our Tip of the Day Newsletter is our free offering that includes a written tip that we email to you every day. It does not include our collection of in-depth video guides, a digital subscription to iPhone Life magazine, one-on-one help with Ask an Editor, live workshops, the premium podcast, and our archive of over 1,000 premium video tips. Q: What if I have another question not answered here? Learn what you want when you want. Explore our entire archive any time. Browse any topic in our expanding library. From Siri to security, we've got you covered. 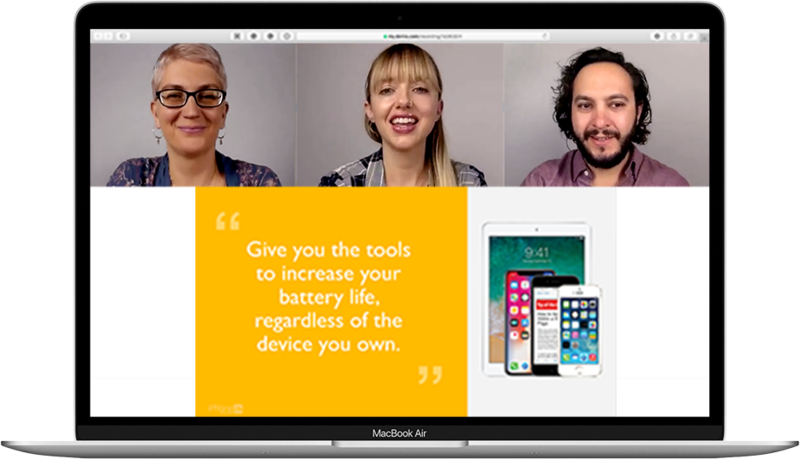 Learn from our experienced writers and email them directly with all your iPhone questions. Learn in whatever format you prefer. Watch videos, read our magazine, download PDF guides, and listen to podcasts. Get iPhone help from anywhere! 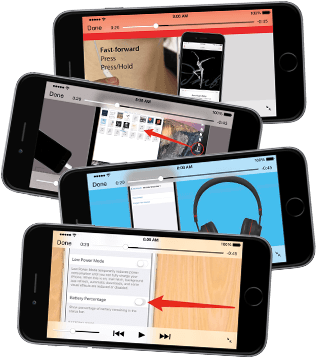 Access all of our content from your iPhone, iPad, and computer. Our daily tip videos can be shared with friends and family via email. Let us simplify things for you! 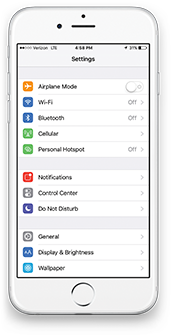 Some of the most impressive features of your iDevice, such as iCloud, iTunes, and Family Sharing require setup and can be confusing if you don't have someone there to guide you (hint, hint). 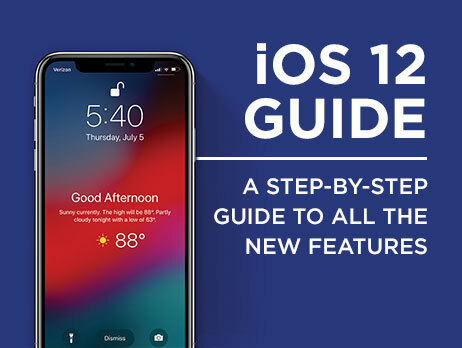 We live to help you get the most out of your device, and these guides help you take advantage of amazing services. 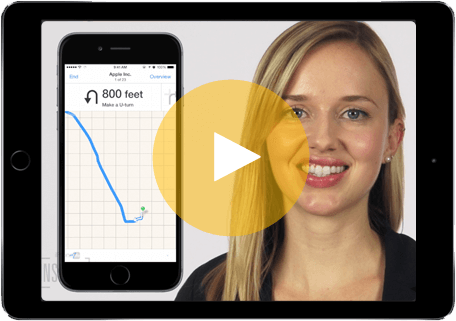 They say a picture is worth a thousand words, and our video tips are worth about 10,000 (give or take a few). In addition to a written description, you will get a visual walkthrough of each one of our Daily Tips, which is essential for troubleshooting and retaining each tip. When you sign up for Insider, you’ll gain access to our archive of more than 1000 video tips, organized by category. Learn about any topic, from messaging to Siri to security, by browsing our collection and quickly finding the information you need. 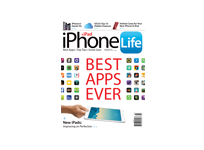 You will have unlimited access to all digital current and back issues of iPhone Life magazine including full access through the iPhone Life magazine newsstand app. Explore our buyer's guides, best app roundups, productivity issues, accessory reviews, and so much more! Never miss an issue! 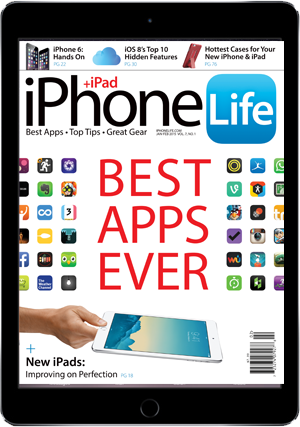 Be one of the first to read about the hottest apps, gear, and Apple news in the latest issue of iPhone Life magazine on our iOS app. Have a tricky iOS issue or a burning question about your iPhone? Send us an email and one of our experts (that's right, an actual human being!) will help you find solutions to your problems and answers to your questions. 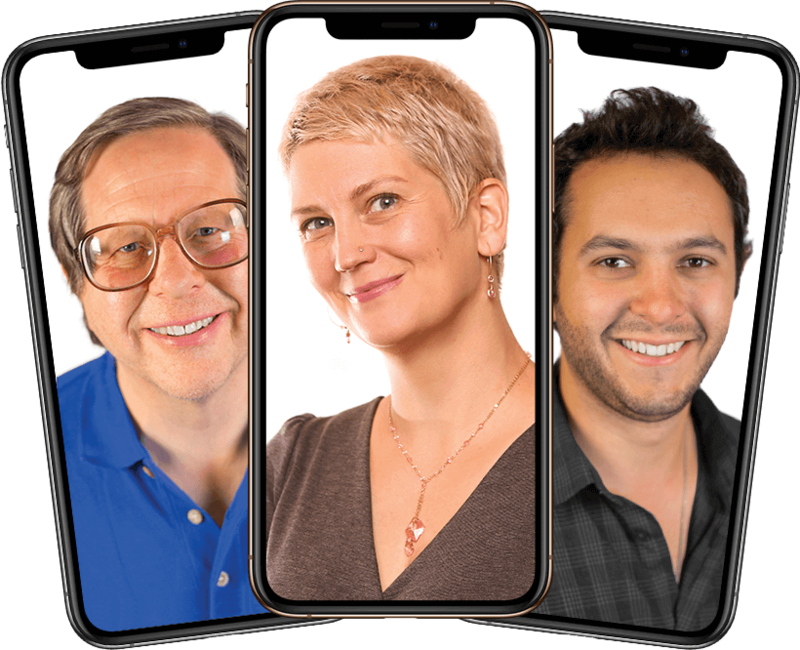 You’ll have a blast tuning in as David, Donna, and Sarah go over the latest Apple news, top tips, and their favorite apps and gear. As an Insider you will have exclusive access to an ad-free version of our bi-weekly podcast. Each episode also includes bonus content recorded exclusively for Insiders. 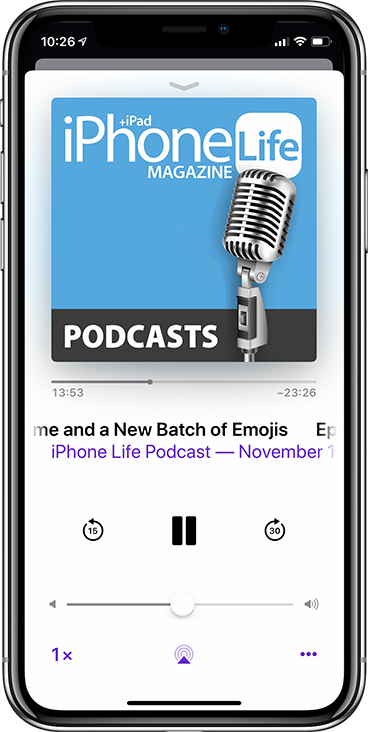 The iPhone Life Podcast is available in both video and audio formats. You can attend regular live workshops on iPhone and iPad topics such as photo management and iPhone security. Follow along from any computer, iPad, or iPhone while our editors walk you through in-depth topics, and get your questions answered during our live Q&A. If for any reason you can’t attend, an archive of all of our past workshops is available for you to stream on demand.